Utilizing three main components: QR stickers, a mobile application and a website, the K&N SleeperCode Project is a branding platform, a social media experience, a direct marketing vehicle and many other things besides. One of the more revolutionary aspects of the Sleepercode Project is built on an already longstanding tradition: the brand sticker. Widely used within the modding community, these stickers have become informational ambassadors. But integrate QR functionality and the possibilities explode. 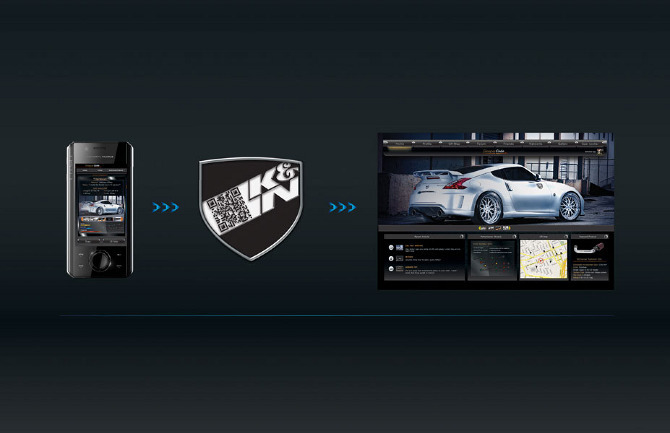 The Sleepercode app is the link between vehicles in the real world and their online profiles. 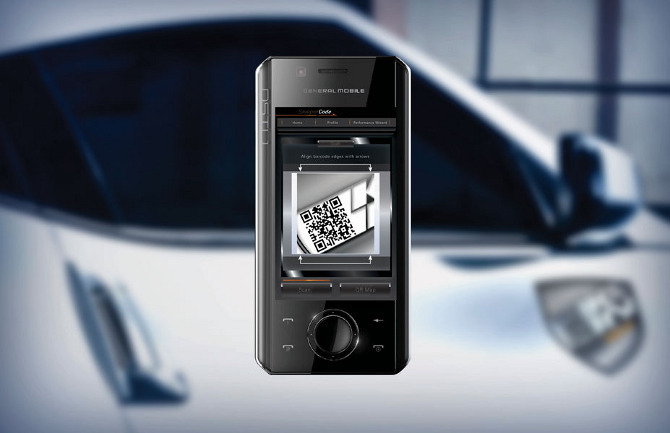 With it, users can scan SleeperCode QR stickers to inspect a car’s profile, leave comments and compare vehicle specs. Detail: The application icon, splash screen, home and network pages. Detail: Core Functionality. The QR scanner, user profile and mod map. 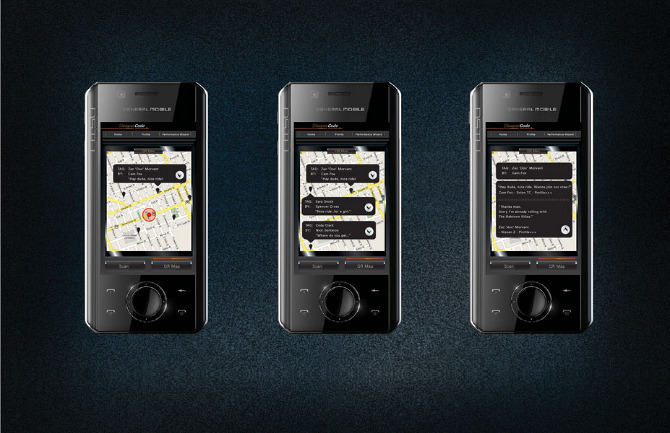 Detail: GPS-Enabled Functionality. SleeperCode users with GPS enabled phones can use the application’s expanded functionality to track and comment on cars in their network. Sleepercode Online is both the digital backbone of the project, as well as the home-base for mobile profile customization, spec sharing and social interaction. Here, users are encouraged to own their page by uploading pictures, videos and technical details about their ride. Detail: Home Page. Here, users can change their personal and vehicle profiles quickly and easily. 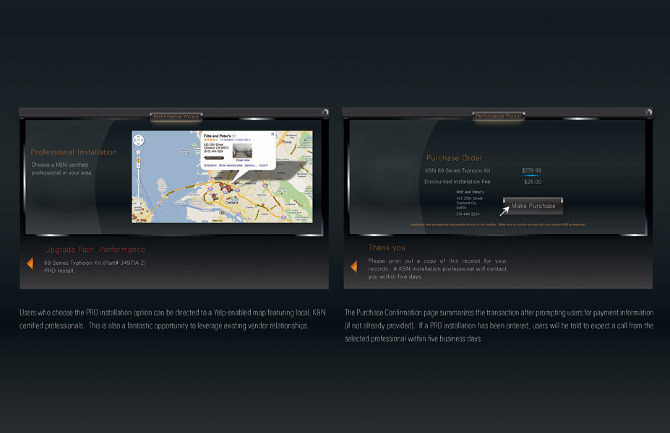 Advanced users can also create virtual tours of their car by dropping pictures, commentary and even music samples into a simple graphic time-line. Detail: Profile Page. Detail: QR Map Panel. 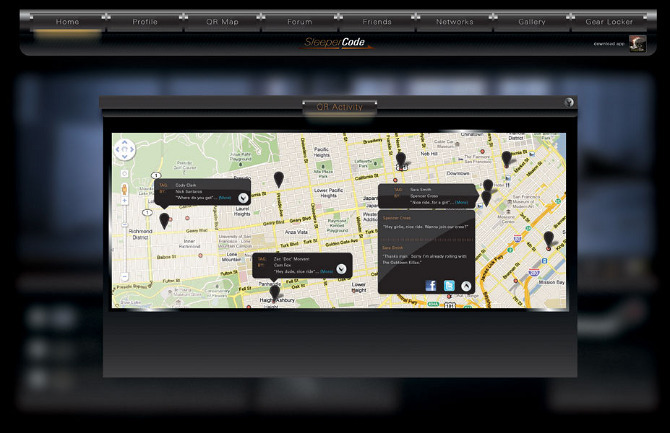 The QR Map allows users to comprehensively manage all geo-tags in their network. 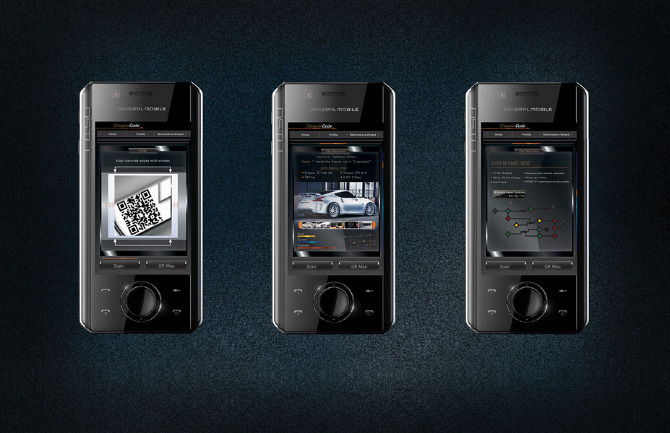 Accessible from both the home page and phone app, this easy to use web widget is both an elegant reference tool for the current state of a vehicle, as well as a powerful direct sales tool for K&N. Detail: The Performance Wizard home screen. Detail: The New Modder screen imparts tuning fundamentals. Detail: The Wizard allows users to choose their upgrade path, receive product recommendations, view descriptions, and find installation assistance. Detail: A Yelp-enabled map assists novice modders by leveraging K&N's existing vendor relationships. The Wizard also allows users to purchase parts directly.